The Port of Oakland was the first container port ever built on the west coast of the United States. It is a massive facility and the fifth busiest container port in the country. 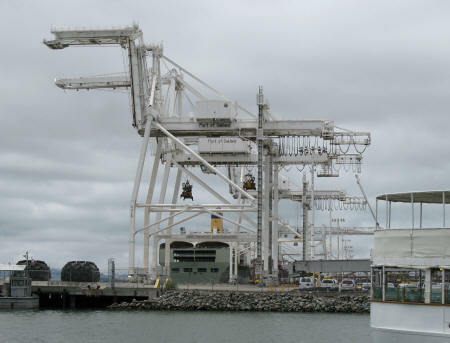 Visitors arriving by ferry from San Francisco can enjoy a great view of the Oakland Port facilities. The Oakland Ferry Terminal is located in Jack London Square near the port.